Experience the wonders of extreme hill truck climb and driving. Hillux offroad truck is filled with fun and adventure. There is racing, there are stunts. Hill driving and mountain climbing on truck is not an easy task. Skills are needed, potential and driving spirit is needed to complete every driving task given to you. As one of the off-road drivers on realistic bumpy road in the mountain, you need to have control of your real hilux 4x4 truck, the hill climb hilux car like monster truck wheel needs to be driven carefully to travel over the meandering road. You have pro driver and truck climb skills to become an offroad extreme car driver in this exciting new like truck simulation game. 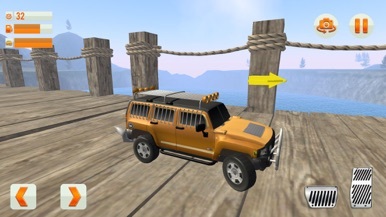 Get in your new realistic offroad car and deliver cargo to your destination. 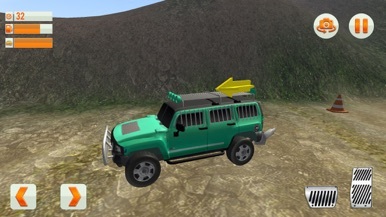 All off road cars are new and high speed. 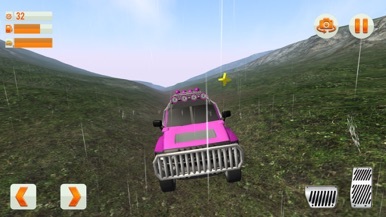 These realistic hill cars and are not so heavy like off road trucks, trailers and other heavy machinery in other off road games. 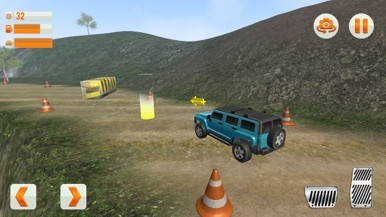 So test your amazing driving skills and truck handling controls in this new hilux 4x4game. Far away from city, into the woods on the extreme mountain offroad tracks. Driving racing cars with crazy high speed is a big challenge. Let’s check out the fun hidden inside the offroad mountain hill driving adventures of this new 2017 4x4 realistic racer game. You are an expert at driving and a pro driver with realistic master driving skills. Get in the car and get ready for hill racing and climb adventure. Go crazy with amazing car collection using your extreme racing and driving skills on hill. Remember all the driving sessions that you have gone through in training and make use of all the racing and hill truck driving competitions that you have been a part of and won. Ride extreme amazing cars and experience the new hilux 4x4 2017 hill race and climb mania. For you there are different realistic levels designed for the gameplay mode. 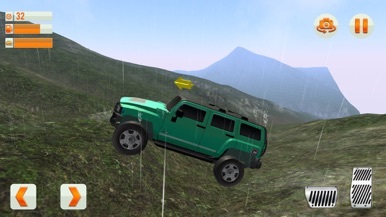 Be an expert furious off-road racing driver on several different offroad extreme paths for you. No need to hit brake because of city traffic extreme parking or racing other rival vehicles, so you can perform illegal extreme and amazing truck stunt actions and run your hilux 4x4 truck with full speed without the police chasing your SUV car truck vehicles! Realistic car physics, new automatic gear change, realistic truck controls, offroad detail map and qualitative 4x4 car like model with smooth parking will give you realistic feel offroad driving. Stay on the Trail wall and do as many SIDE to SIDE and go far as you can!!!! The best addictive game! Tap on the screen and try to get more colors in the Trail Wall!!! Enjoy! PoultryIndia 2017 is the Conference and Expo app. By using this app the user can get all the Exhibitors,Speaker,Sponcers and Delegate details. The Updates of the Conference will sent through Push notice to the user. The user also can add a feed and post into the wall. By using this app the users can also chat with the delegates directly in the app.